ebm-papst has been offering company bikes to its employees since 2013. The idea has been well received and keeps the workforce fit. News reports about changes in tax law are among the more boring kinds of reading. 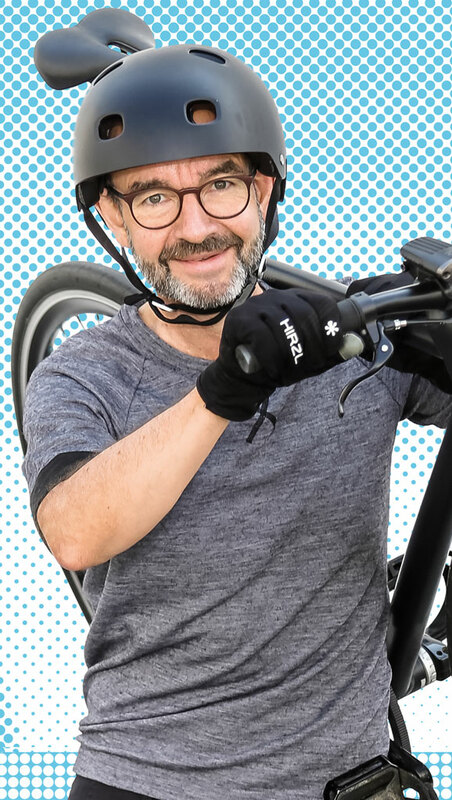 But Kai Gebhardt was captivated immediately when he read at the end of 2012 that the tax break for company cars was to apply for leased bicycles, e-bikes and pedelecs as well. “That would be a good thing for our employees,” thought the Head of Human Resources at ebm-papst Landshut. Gebhardt is an enthusiastic cyclist himself, riding 20 kilometers to work every day. So he read up on the matter, looked for a leasing company and spoke with a bicycle dealer. Half a year later, he presented his concept to the staff on Health Day. It works as follows: The employee chooses a bicycle and the employer pays the monthly leasing fees, which are listed as deferred compensation on the pay slip. In the end, every employee saves money because a lower tax rate applies for the leasing. When the leasing contract expires, the employee can buy the bicycle for a minor sum. The idea was well received; today about 300 employees in Landshut, over a quarter of the workforce, have a company bike. Germany’s bicycle club ADFC has certified ­ebm-papst Landshut as a “bike-friendly employer” twice. To earn this designation, a company must fulfill numerous criteria. These include having enough bicycle stands or bike-related activities. For example, every year about 150 employees take part in a bike rally in Landshut that is dedicated to climate protection. “We recently installed a charging station for e-bikes, which also scores points,” says Gebhardt. Gebhardt notes another positive effect of the company bikes: “The people with bikes have a lower average sick rate of 3.67 percent compared with 5.94 percent for the rest of the workforce.” The locations in Mulfingen, St. Georgen and Lauf now offer the company bike plan as well.